I know, you are probably saying how can I rejoice in what's going on right now? You grin and bear it because you believe in something better that is on the way. That's faith! Too often we sabotage His dreams for us with our negative words and thoughts. Know this...trouble works on you but eventually works in you and builds character. Good character helps you hope in the best that is coming. God loves you and wants the best for you. Hope in that today and try to keep your head up and your words positive. 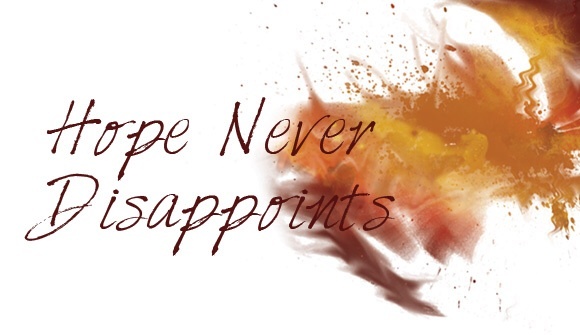 In that hope you will never be disappointed!